As we sit at the airport lounge, sipping on some dry Greek white wine, we are trying to gather our last few days in Athens into coherent chapters. The truth is the trip has just begun to sink in and it may take us another 2,500 years to comprehend how glorious this city really is. In the middle of our trip, we were sitting on the operating table of a private hospital in Kolonaki getting stitched up for a minor fall on the metro enroute to the Acropolis, and the doctor asked, “So which of the islands are you going to?” Our response was “None at all.” This trip was to start in Athens, continue in Athens, and end in Athens. Why would we go somewhere else when people have been fighting over this beautiful land for so many years? Our version of Athens is neither a guide book nor is it a check list. The beauty of Athens is in its unpredictability and the striking co-existence of grunge and beauty. Graffiti exists alongside structures that are over 2,000 years old. The people of Greece are gracious, warm and welcoming with “Kalimera” and “Kalispera” ringing in the air depending on the time of day. Summer is the ‘glorious’ period of the year and everything and everyone spills out on to the streets. It’s almost as if the city becomes alfresco and you need to ask if you want to dine indoors. We highly recommend that most of your exploration be done on foot -- most of the stuff we loved we stumbled upon only because we were on foot. 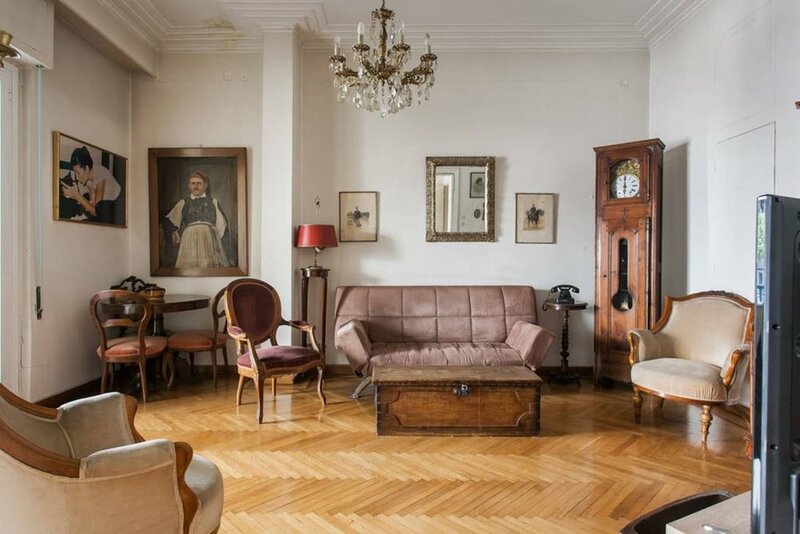 We also found an incredible airbnb to stay in - an absolute gem in the hilly and posh Kolonaki neighborhood, one of the most beautiful we have ever stayed in. It is managed by two brothers who have preserved it exactly as their grandmother had designed it, transporting us back in time and making for a very unique stay. As avid travelers we have always believed that the greatest form of travel is to see a city through a local’s eyes. Thanks to Dimitris, our most memorable meal was not from the lonely planet, nor the Michelin big gourmand guide; it was a 12 seater ‘cantina’ located on the roof of an office building with 4 items on the menu: beef, salad, potatoes and omelette. The owners were the chefs and the food was authentic, delicious and made to order. Accompanied by the local beer, Alpha, and beautiful views of the Acropolis, we felt what it was like to be a local in Athens on a beautifully sunny slow work day. 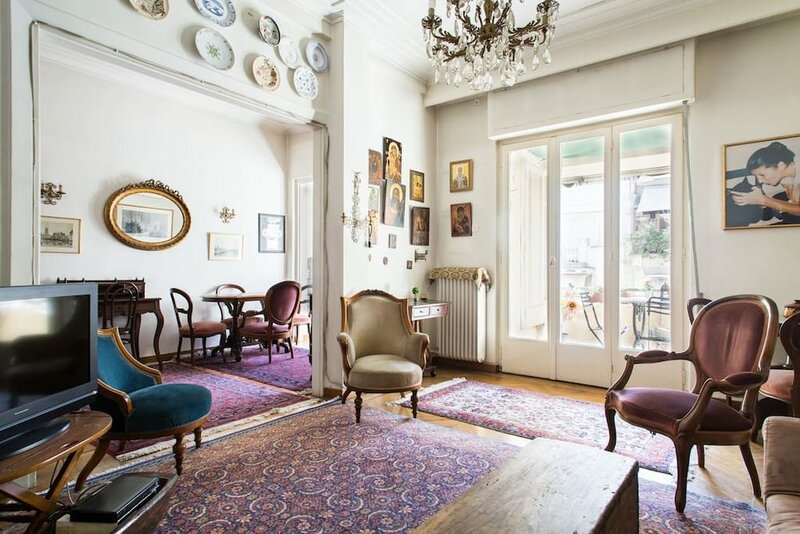 While Athens has a fantastic coffee culture with great coffee to be had almost everywhere, our favorite discovery was Kaya. We didn’t find this in a guide book and nor was it a recommendation. We stumbled upon it while zig zagging through downtown Athens. The beauty of this tiny coffee shop located very close to Syntagma Square lies is its transparency and open design; with floor to ceiling glass forming the exterior façade of the shop and an inner counter that doesn’t face the customer but the back wall, standing outside the shop one can lean on the railing with a coffee and watch the baristas work the magic. They were gourmand but had no air of pretension too them. In fact, we bought dessert from next door and the head barista actually came out to hand us tissues as we proceeded to devour it while standing at his shop. Souvlaki, gyros, kalamaki - we would urge you to figure out the differences between these (this can be more challenging than it seems). Cabbies are the best to ask for recommendations, several of whom directed us to great local spots. The guide books and online articles often failed us here.